Hector's "real" job is Technology Integration Teacher in the Essex/Westford School District, where he has worked since 2000. He started playing soccer in 1st grade at Colegio Vista Hermosa in México City and also played at St Mary's University in San Antonio. 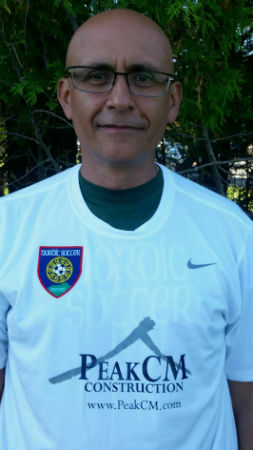 Hector is a Region 1 ODP Staff Member, Vermont ODP Staff Member, Nordic Senior Staff member and has also coached at Norwich University, Saint Michael's College, Albert D Lawton Middle School and South Burlington High School. Fun fact - Hector hold's the XL Travel record for most "Full English Breakfasts", enjoy's hiking, biking and paddle boarding as well as spending time visiting family in Mexico.